I'm really not one to be glad when things are over. I try my best to appreciate all things in life. But September? You were a good month. No a great month - but also a hard month. Septembers are always busy for my family. Between birthdays (3 best friends, one nephew, one sister-in-law and my daddy), anniversaries (my parents and my own), family vacations (my side and Matt's side) and a busy travel season for the hubby (5 weekends in a row he was gone!) - well it was slightly exhausting. In the best possible way that is. I always look forward to Septembers - mainly because of the reasons listed above. So much to celebrate, be thankful for and it's kind of my month to say farewell to all things summer. But between all of the happy things that September brought, it also brought a very sick baby G. We battled a week of high fever coupled with a rash and serious tummy issues, followed by 2 weeks of wellness and then again another week of fever (this time coupled with runny nose!). So - as much fun and happiness came with September, I am looking forward to October. A fresh month with hopefully lots of healthy babies in my future. And! It's sweet hubby's birthday! Yay! Yay! And there is football and tailgating in my future! And while I really couldn't care less about the actual game, the tailgating and friend time is my happy place. Plus, I'm hoping to check some of my fall to-do's off the list. So, cheers October! I'm ready for ya! 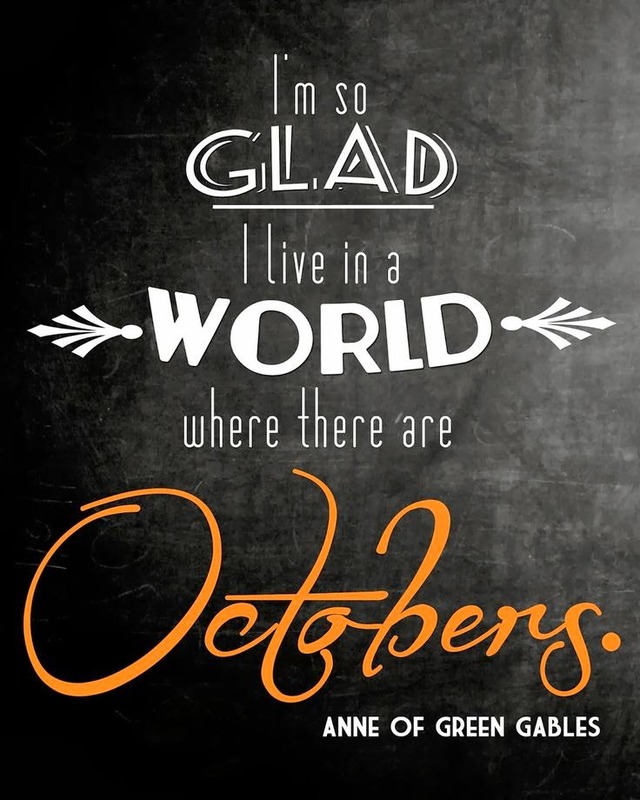 i love october too! and her outfit is adorable! I'm so glad Georgia is feeling better. There's nothing worse than a sick baby (although selfishly i do enjoy the extra baby cuddles). Oct, Nov and Dec are my fav months of the year and I am ready to end the year on a great note :) Can't believe 2014 is almost over. Ekk! Hoping this month is a little less hectic for you and that beautiful girl of yours!